Directors' cut of the 10 daily Montane Spine Race TV episodes from the 2017 race featuring additional footage. Narrated by Damian Hall (author of the Official Pennine Way Guide Book & Spine Finisher). 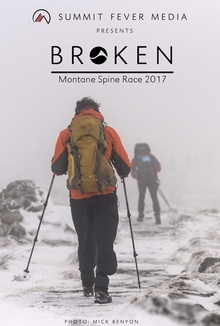 Directors' cut of the 10 daily 2017 Montane Spine Race TV episodes, initially released on Facebook, featuring some additional footage, and narrated by Damian Hall (author of the Official Pennine Way Guide Book & Spine Finisher).